Welcome to Ewen Hendren Dozer Hire Pty Ltd, serving Central Queensland, Central and North Burnett as well as WideBay. 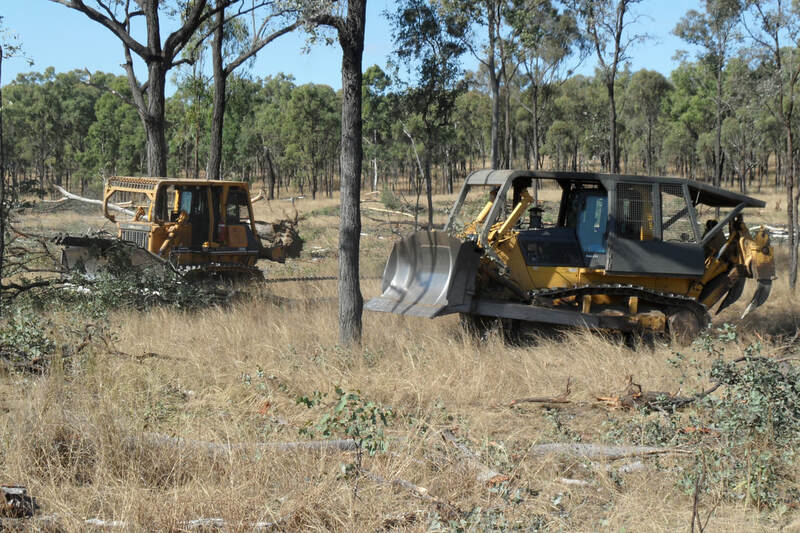 ​Our services include a full range of Bulldozer contracting and hire with our fleet. We offer a range of heavy duty dozers for any project, big or small. ​Our business was established in 2005. We established our business around the agriculture industry. We are always committed to the agribusiness. Our owner/operator has been working in the Agriculture and Civil industry for over 30+ years. He is highly regarded with his knowledge he has gained over these years. With returning customers we know they are satisfied with our business. Our customers know that our dozer operator is highly committed to the agriculture and civil industry and understands the needs and requirements. Being involved in the Teebar Solar Farm near Maryborough was rewarding. The 96 ha site was cleared and levelled for the solar panels to be installed on. Our involvement in the Surat gasline projects has been highly commended, and we are increasingly contracting to companies in this industry. Our services also extend to dozers for the construction of roadways and we a​re a trusted partner in the delivery of large-sized projects. Our motto is “No dozin’ around” – we deliver equipment and a service that gives you the results. We stand by “No Job Too BIG or Too small”. Locally owned and operated, we offer excellent value for money from a trusted, experienced team who knows what they are doing. Our business started operating from 2005, our team, led by Ewen Hendren, has 30+ years of experience in the bulldozer industry and proven customer satisfaction. We are a Queensland-based locally owned operator, meaning you deal with Ewen directly on every job. Not limited by a project’s size, we use sub-contractors if we gain a larger projects. Ewen is one of the best operators in this field. He is very particular and reliable with the motto “take pride in your work”.